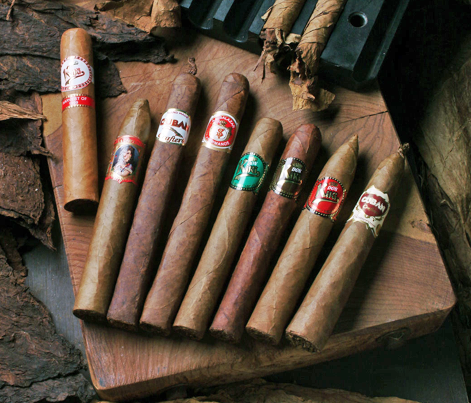 Cigars come in many shapes and sizes and colors. It is often difficult for a cigar smoker to get a complete understanding of how these factors affect the taste. The shape of the cigar is perhaps the hardest thing to describe since there are no set standards used between cigar manufacturers. Usually it is best to remember the shape written on the box to remember what you are smoking. 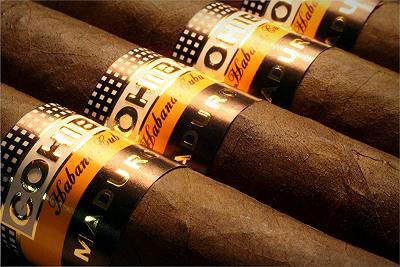 The finest cigars in the world vary in size from about a 9X64 (which is one inch wide) down to approximately 4X30. The first number refers to the length of the cigar, in inches; the second is the ring gauge, or the thickness of the cigar, measured in sixty-fourths of an inch. Most cigar smokers gravitate to a particular size, so when considering the quality and consistency of taste and aroma of a cigar, your sense of comparability can be confused and it will be difficult to judge fairly unless you are smoking the size you are accustomed to. The same cigar blends in different sizes taste different, sometimes vastly different, because of the different ring sizes and lengths. A big ring gauge, 50 or 52, produces an immense volume of smoke compared with a 28, 36 or even a 42. Heavy Ring Gauge: All cigars with a ring gauge of 45 and up. Standard Ring Gauge: All cigars with a ring gauge of 40 to 44 inclusive. Slender Ring Gauge: All cigars with a ring gauge of 39 and under. There are many methods that can be used to enhance the cigar smoking experience. To learn more about cigar tips, tricks and proper use, visit our Cigar Smoking Guide to learn more!